Wasabi is a Japanese root that belongs to the same family as horseradish, cabbage, and mustard. It has been an important ingredient in Japanese cuisine for centuries. 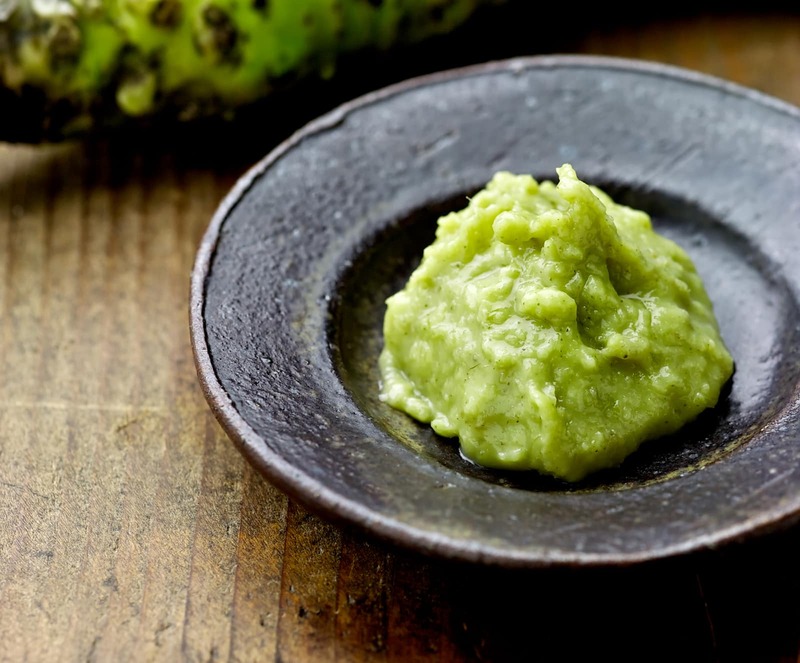 Wasabi is also known as Japanese horseradish; its Latin name is Wasabia japonica. The Honzo Waymo is Japan’s oldest botanical dictionary. It is believed to have been compiled in the year 918. The dictionary included numerous references to wasabi, which was then being used medicinally. It was considered an antidote to food poisoning, which would have been useful given the amount of raw fish in the Japanese diet. Similarly, the spice is mentioned in Japan’s oldest compilation of penal codes and other rules, called the Engishiki. Historians believe that wasabi was first cultivated during either the Azuchi-Momoyama period (1568-1600) or the early Edo period (1600-1868). The legend surrounding its beginnings states that it was discovered by a farmer in the Shizuoka Prefecture who showed it to a warlord named Tokugawa Leyasu. Leyasu is believed to have been a gourmet who prized wasabi and tried to restrict its cultivation to his territory. It is said that the wasabi plant’s leaves resemble the leaves of the hollyhock, which is on the Tokugawa family crest. 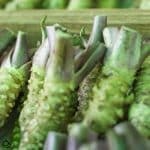 There are records of wasabi being used in vegetarian dishes served in Buddhist temples and in chilled soups from about the year 1000 to the year 1500. Wasabi was also first used as a condiment for sushi in the late Edo period. Given that there was no refrigeration, wasabi was considered useful for neutralizing fishy odors and preventing food poisoning. Dried and powdered wasabi first showed up at the start of the 20th century (the Taishi Period). Drying and was used as a way to preserve wasabi. Wasabi is notoriously difficult to cultivate and grows naturally in mountain streambeds. During the Taishi Period, it was discovered that it could be grown in the soil alongside the streams rather than in the stream itself. The latter wasabi was deemed inferior to the naturally growing variety, but the method allowed farmers to produce more of the root. Wasabi has a pungent heat that is often likened to the flavor of horseradish or of hot mustard. This heat will dissipate within 15 minutes if the wasabi is left in an open container. Unlike the heat from chile peppers, the heat from wasabi is water soluble and will abate with eating or drinking. Vitamins: Fresh wasabi is an excellent source of vitamin C and provides smaller but still significant quantities of B vitamins including thiamin and pyroxidine, also known as vitamin B1 and vitamin B6 respectively. Fiber: Wasabi is very rich in dietary fiber, so much so that even a relatively small serving size is able to provide a large amount of it. Minerals: Wasabi is a good source of many of the important minerals, including calcium and magnesium. It also contains zinc and manganese. Allyl isothiocyanate: Allyl isothiocyanate is the phytochemical that is responsible for the heat of regular horseradish and wasabi. 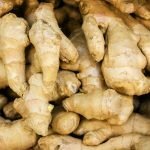 Research has shown that it has numerous medicinal benefits. Cancer: Allyl isothiocyanate is believed to be beneficial for preventing a range of different cancers including brain and bladder cancer. 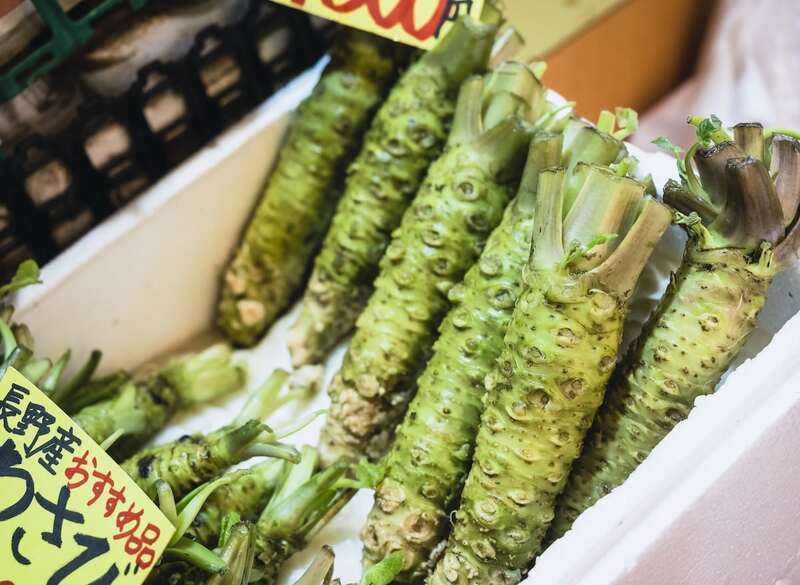 Cardiovascular illness: Isothiocyanates in wasabi can help to prevent platelet aggregation and thus prevent strokes and other cardiovascular issues. Food-borne illness: Wasabi has antimicrobial properties that make it effective at fighting bacteria that cause food poisoning, including E. coli. Wasabi’s primary use is in Japanese food, where it is a condiment for sashimi and sushi. 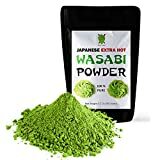 Wasabi powder is used to flavor roasted or fried peanuts, peas, and soybeans. The wasabi-coated legumes may be served as a snack or an appetizer.